The iconic home makeover series is making a comeback. 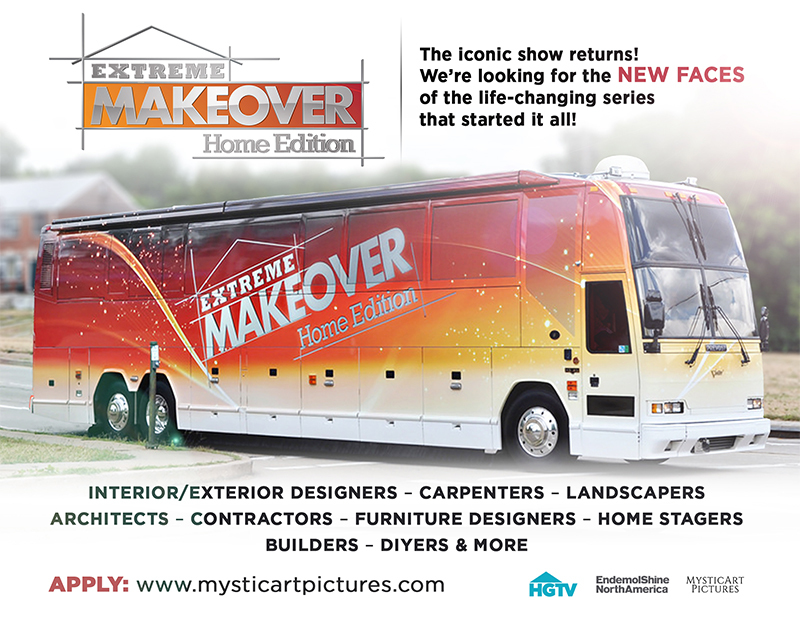 The show will be returning to TV in 2020 and is now casting people that would love to join the Extreme Makeover cast. The series originally aired on ABC beginning in 2003 and ran through 2012. The popular makeover show is now coming back on HGTV and ready to renovate. The bus will be returning to make a families dreams come true and is now casting people who can help bring it all together. 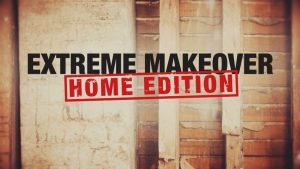 Casting directors for Extreme Makeover:Home Edition are casting for interior designers, carpenters, landscapers, architects, contractors, furniture builders, stagers, DIYers and more. On the show, a crew of builders, designers and home renovation experts raced against the clock to makeover a families home within a week. They will be at it again shortly and are holding video auditions for a variety of home renovation experts. According to a story in Variety, Discovery Inc. is bringing back “Extreme Makeover: Home Edition.” HGTV has plans to reboot the show with a season 1 consisting of 10 new episodes. Variety states that the show will air sometime in 2019, but other sources do list the air date in 2020. Guess we shall have to wait and see on that. Seems that HGTV may be doing quite a bit more than the original 10 episodes currently ordered as Variety reports that they have secured the rights to air as many as 100 episodes. Each episode features a family that has faced some sort of recent or ongoing hardship such as a natural disaster or a family member with a life-threatening illness, in need of new hope. The show’s producers coordinate with a local construction contractor, which then coordinates with various companies in the building trades for a makeover of the family’s home. This includes interior, exterior and landscaping, performed in seven days while the family is on vacation (paid for by the show’s producers) and documented in the episode. If the house is beyond repair, they replace it entirely. 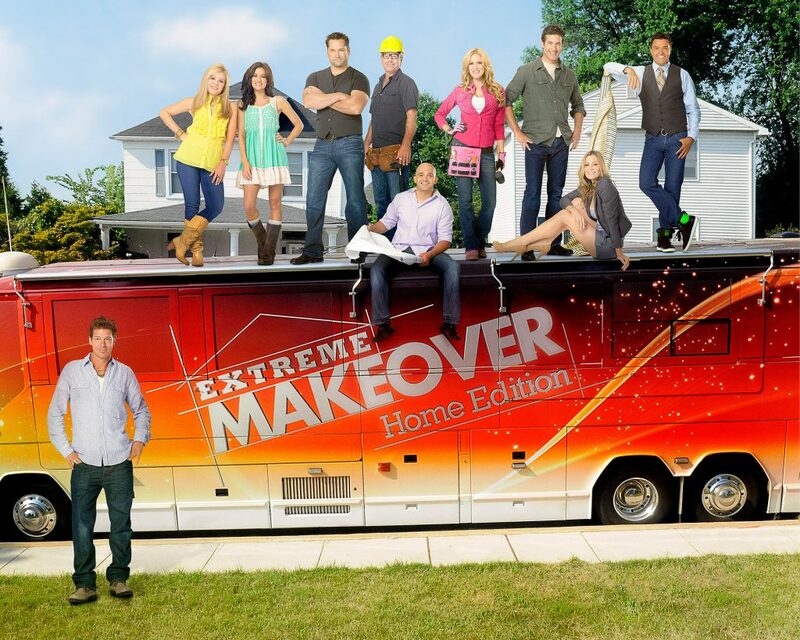 The show’s producers and crew film set and perform the makeover but do not pay for it. The materials and labor are donated. Many skilled and unskilled volunteers assist in the rapid construction of the house. Please note that the casting call is for the Extreme Makeover crew right now. Family casting calls will most likely be coming up later this year. Be sure to also check out all the other reality shows that are currently casting.